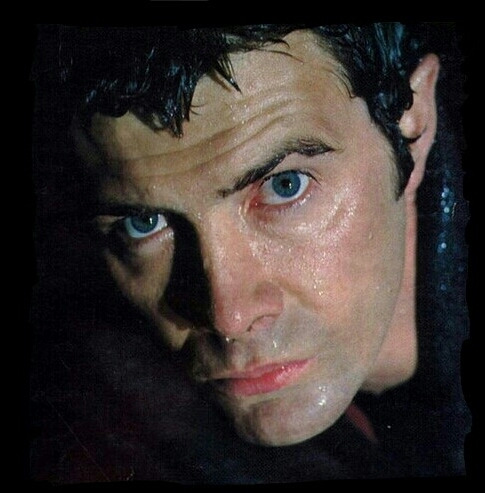 #298....."LEWIS COLLINS - BODIE 3.7 . you'll never walk alone ! His eyes look so blue in this shot! Come to think of it, there's a lovely fic (Art Forms by Lainie Stone, iirc) that has Doyle describing Bodie's eye-colour as "sapphires - dark 'uns", and I imagine he must have been looking a bit like this at the time. Lovely! Thankyou, yes his eyes are a beautiful shade of blue aren't they and i remember the story that you mentioned, Doyle was certainly right. Thanks ever so much for your comment. mmmmm there is nothing quite like a wet Bodie to start the day with (or end the day in your case) and thankyou for looking, glad you like it. I love this moment from the ep - and it's one of my favourite eps too. Come to think of it, I have 57 favourite eps ! mmmm me too and i'm loving a wet Bodie to start off my monday ...i love all 57 episodes too but there one or two that are nearer the bottom than the top of my favourites to watch . Thankyou for looking and having not heard from you in a while i hope you are well. Me too, but the lads are in all of them - so, I'm not complaining ! Glad to hear it and if you want me then the only place you will find me these days is on my own journal. Ohhhh the bluest eyes of 57 eps. Is there anything better for a monday? Have a less stressful week than beforehand. mmmmm his eyes are the most gorgeous shade of blue and this image of Bodie can only help the day get better. Thankyou though i am always leading a hectic lifestyle especially as christmas approaches. Thankyou so much for looking. yes he is and thankyou for looking at it. Oh my, what wonderful blue eyes he has! Thanks for the close up. You are very welcome and thankyou for looking. What a stunner this pic is! yes it's a gorgeous image of him and his eye colour , just a vivid shade of blue and him being wet only enhances those gorgeous eye lashes. You are very welcome and thankyou.